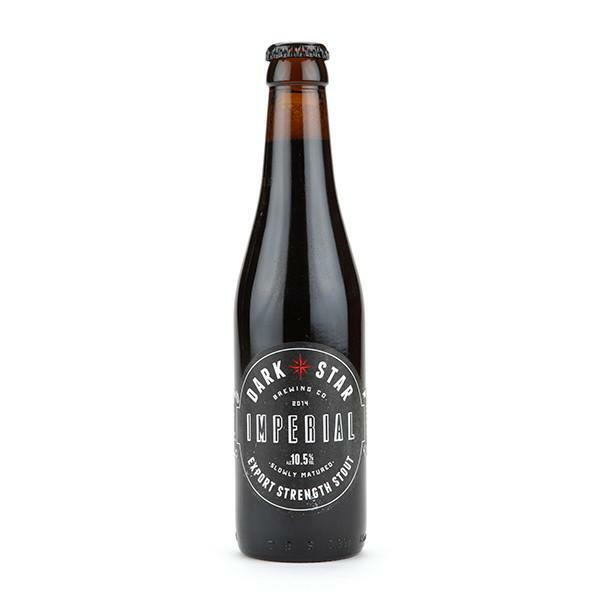 Rich and complex, the imperious Dark Star won gold in the Stout class in the London & South East Area section of the CAMRA Champion Beer Of Britain 2015. Look: Deep ruby, bordering on jet black, on the pour with a small creamy brown head. The long maturation process makes the beer look dense and full-bodied, with a small to medium carbonation. Nose: Rich aromas driven by coffee and darkly roasted malts, dark chocolate. Some tinges of molasses and oak as well forest fruits and berries. Taste: Again focus on espresso coffee mixed with rich dark chocolate plus vanilla, rum and coconut, plus a boozy, treacly velvety mouthfeel those Magnum and East Kent hops, flaked barley and Crystal malts. Verdict: Dark Star’s stout as imperious as the Death Star. Strong, complex and meant to be savoured.